Lin Shu-chi comes back to Taipei after years of living in the US. She escapes from an unhappy marriage with an American and lack of satisfaction with her professional life. Upon reuniting with her parents, she notices that life had been hard on them, the neighbourhood where she grew up had also changed a lot. Lin Shu-chi recollects her childhood and teenage years, since 1975 when she was born on the same day autocratic leader Chiang Kai-shek had died, throughout her school days, migration to the US for work and studies, relationship with her future husband, up until her current dilemmas. Lin Shu-chi is searching through her past to find answers to her present problems, trying to make a decision where to settle down and with whom she should plan her future. The main character's life reflects a turbulent social changes in Taiwan, starting from dictatorship and the oppression of local identity, through gradual democratic reforms in 1980s, up until current independence movement and taiwanese identity formation. Director Sung Hsin-yin mentions the key historical events, that reflect the generational experience of people born by the end of martial law. 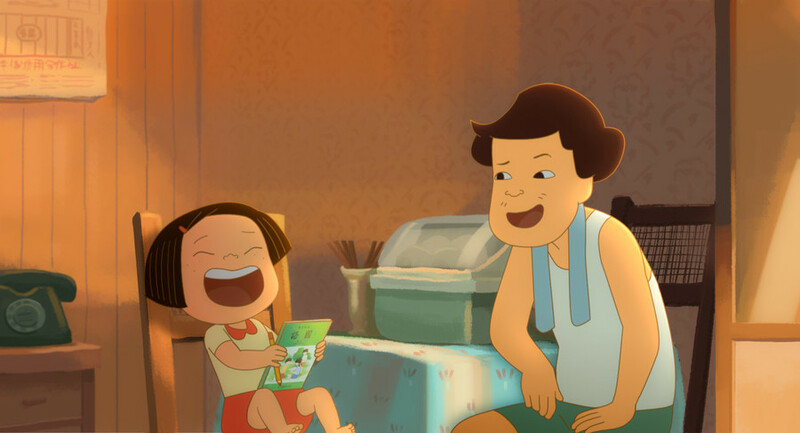 The focus on daily life and personal, alternative, non official historical narrative makes "On Happiness Road" an honest and touching image of searching one's own way of life. "On Happiness Road" is the closing film of the 12th Five Flavours Film Festival. After the last screening on November 21, we invite you to spend the rest of the evening with us in the foyer of our host cinema Muranów, and enjoy snacks and drinks prepared by festival friends - herring snack specialists Leniwa Rodzina, and Choya, the producer of wonderful plum wine. Born in 1974 in Taiwan, she graduated from prestigious Taipei First Girls High School, then completed political science studies at Taiwan National University. She started working as a journalist, conducting interviews with filmmakers and actors, supposedly talking with Maggie Cheung inspired her to pursue career in film. She first wrote scripts for Taiwanese TV series "The Rose" based on popular Japanese manga. Then she went abroad to continue her studies, she graduated from film theory at Kyoto University and film directing at Columbia College Chicago. After the diploma, she came back to Taiwan and in 2012 she started working on the script for semi-autobiographical "On Happiness Road", which was first completed as a short film. She received Taiwan government subsidy, which allowed her to turn the film into full-length feature, which was well-received by the audience and critics and was awarded Best Film at 2018 Taipei Film Festival.